Sometimes we just can’t put our fingers on where the time has gone today, it always seems a surprise that it’s time to clock off and do the other job you might have, for me its mummy duties! We all say the same thing ‘OMG where has today gone’ I am such a culprit of those sayings, you’ll find me saying it half way through the year too, and the same at Christmas time, sadly the time goes to the same place it does every day lol, it is no real surprise really ‘Time and Tide wait for no man’ and it’s true. But it’s a bit of a double edge saying, as yes the days do go fast but when you have that pig of a task that you are doing, time just d-r-a-g-s doesn’t it, it makes it even more painful, it’s bad enough that you have to do the damn task, but to make your day hell is just not acceptable. So, what tasks are time-consuming? Social media – oh my days what a total time zapper, you popped on to check your page, and then you find out that Karen’s daughter has a new hamster, or Darren has scrapped his car and is looking for a decent repair garage!! Spreadsheets – yes they do still exist, they haven’t become extinct (yet) and yes they are still long winded and painful, whether its expenses or keeping track of work related performances to plain old data entry, it is still time-consuming. Newsletters – this is one of those ones that you know you should be doing, but finding the time to create your newsletter, create the address list for it to go to, then find the time each month to get a new one created and sent out, is frankly boring and time zapping, you haven’t got time for this! But your little fairy is telling you otherwise! Who needs sleep anyway! Research – there is still no quick way of doing this, well unless you were researching in the 80s then yes Google has happened and has sped some things up, but basic researching is still the equivalent to teeth pulling in Edwardian times. Late payment chasers – ah this is one of my favs! Doing a job and not being paid for it, luckily in my VA business this has only happened once, in my other joint business sadly this has happened too often, and the time it takes to get in touch with them and give them suitable warning that payment needs making, that could be 20-30 mins wasted. Have you got any of these tasks? Do you have to do any of these during your time on your business? If so then of these can be outsourced to a virtual assistant. As well as audio transcription, copy typing, diary management, travel arrangements, event management, data entry, database management, CRM set up, a blog set up or creation, website assistance. Then you can start considering those VAs that have specific Nichè, like those that can do your paperwork for your tax returns, those that have medical or law background, you will also find some that have design as their forte. 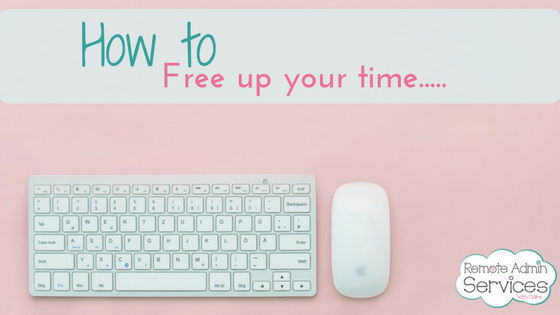 My tip to you is a simple one, if you have a task or 2 that is taking up far too much of your time it is possibly the right time to get that extra pair of hands in. I am happy to have a chat with you on where you need to look, or just happy to speak to you about the whole process.